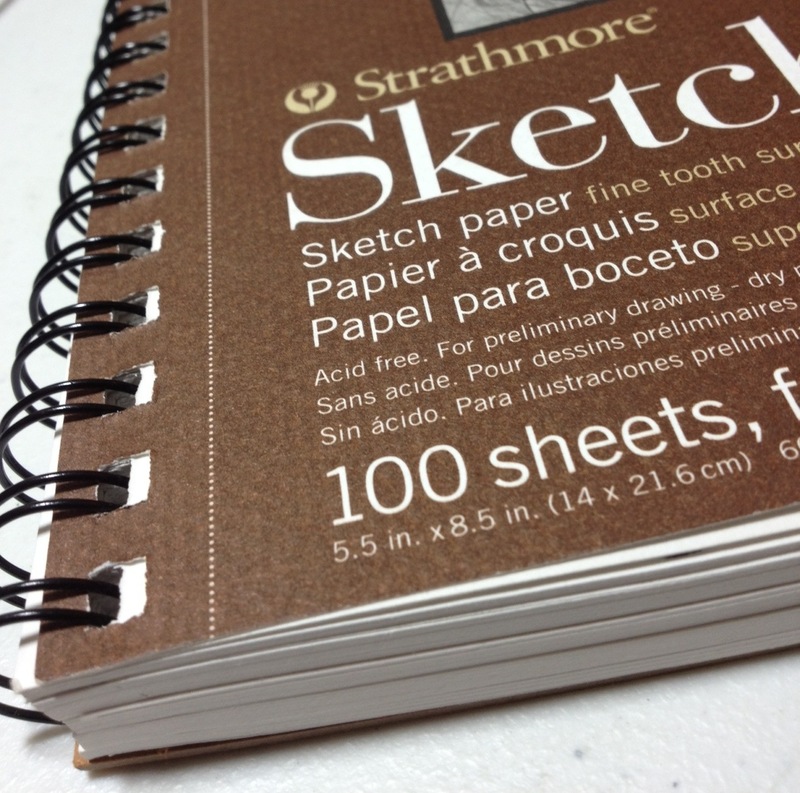 Strathmore sketchbooks, specifically in this review the 400 series, 100 page, 8.5″X5.5″ sketchbook. Design-wise, the cover is acceptable. It certainly does its job and displays all the necessary information in a way that is easy to read, and in three different languages. The stock of the cover and the cardboard of the back are thick and nice, capable of standing up to a great deal of punishment (the back more so, obviously). The back is unbendable without breaking it first, creating a solid drawing surface away from a table, if that’s how you like to draw. The book is spiral bound, the metal of said spirals is superb, they are strong and have enough give and bounce that they don’t bend into a different shape easily. The spine also keeps the pages very secure. The paper in this book is a medium thickness, thicker than 20-pound, thinner than heavier drawing paper. It is relatively smooth, but still coarse. Good for the main purpose of the book; sketching, but poor for fine detail work as the bumps create imperfections. 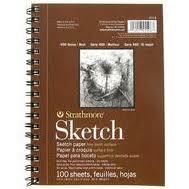 It is still much less coarse than other sketchbooks by Strathmore. Pencil and ink are taken well by the paper. 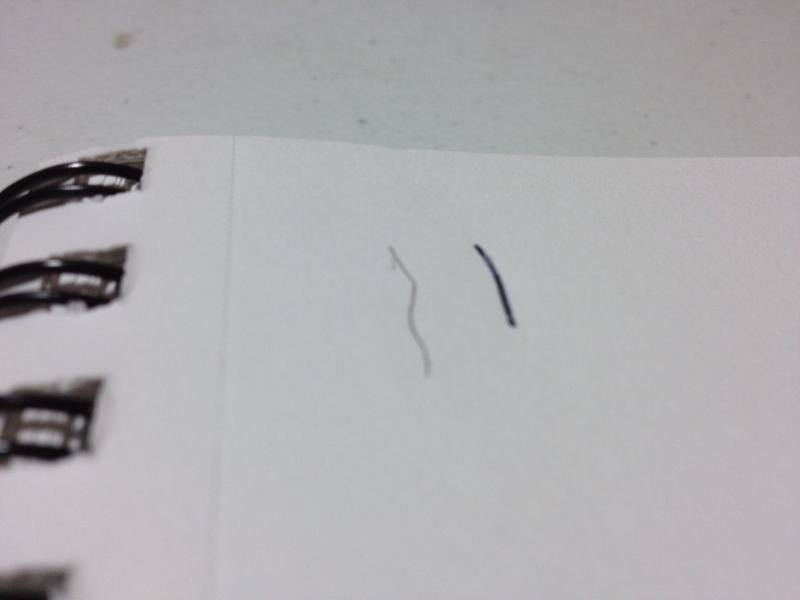 Pencil smudges fairly easily, and shows through to some degree. Ink is absorbed quickly, making drying time fast and can be seen through the paper. There are 100 sheets in this book, which seems a large number, making the book fat. But that is hardly a complaint. The pages are very nice for their purpose of sketching. I take a sketchbook everywhere, I try to vary what I take and where, but when all I want to do is a simple sketch, a Strathmore is what I take. They are easy to get, fair priced and a good quality. I would not try to create a “finished” piece on one, but that is not their intended purpose. They help one practice, hone skills, and create technique by being very durable and useable in a variety of conditions. This size of book is great for a bag or carry in the hand (half the size of a sheet of copy paper). It is a great thing to have when one is out and about and would like to sketch anything.